With the advancement of technology, things have come to a point where we can do anything at the click of a finger. You can send messages and share media files in a jiffy through social media sites and applications. One such app is the Line app where you can share messages and media files through your Line account. But what if there comes a need to hack someone’s Line account? There are many tools, which can help you with this. All you need to do is choose one, which best fits your requirements. Though the best one to use to hack Line account. What is the need to hack Line account of someone using Spyzie? Plenty of texting and messaging apps are growing in use and popularity these days due to the advancement of technology. With the increase in such apps, many hacking tools are gaining a lot of interest in the minds of users of a smartphone. Such best iPhone spy & best Android spy tools help people in gaining all access to the Line messages of any other person easily. So, if you’re interested in Line message hacking or maybe want to try it out? Then, you are at the right place and continue reading to know more about how to hack Line account. Are you getting suspicions about your partner’s activities on Line and want to find out what he/she is up to without their knowledge that their account is being hacked? Would to like to track your friend’s Line account and know what he/she is up to when they open up their Line account? Or do you want to keep a check on your employee and want to make sure that he/she isn’t passing any secret information to your competitors? Then, read this blog to know how to hack Line account of any person. The best part about this way to clear all you doubt that you will be able to do it secretly and that person would not even know. How to spy on a Line account app by bypassing Line password? You will be able to track and check the activities of anybody’s account once you are through with the process of hacking that Line account. Line messenger app is very popular these days and lets people send messages, multimedia collections, like audio recordings, videos, and photos. You will also be able to do a real-time VoIP talk. Many tools can be used to spy on Line activities that you would want to monitor. This software is equipped with the feature of remote spying and will help you in bypassing the Line account password and hack Line account of someone easily as well as quickly. It will track conversations and secret messages of the account, which you want to track. Spyzie is the best user-friendly telegram hack tool that is the best one to use to hack Line account. With the help of it, you will be able to track any kind of data, which includes GPS as well. Through this, you will be able to track the real-time location of any person and also what conversations they’re having with their friends. Hack Viber chat history, Hack Facebook account, Hack Instagram Account and Password, Hack Whatsapp and other social media accounts. It is mobile tracking software, which helps in tracking a phone or PC from any place. It is a very convenient and user- friendly tool for account hacking. It has features to keep a track on your dear ones and has a great feature of parental control. Isn’t it a great tool to hack Line account? Want to hack someone’s Line account? 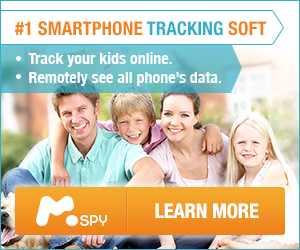 Use Spy phone software, which is an extremely smart option for a parent looking out for software to keep a track on the phone activities of their teenagers. Finding a solution to hack Line account? Then, download SpyHuman mobile tracker, which can help you to monitor and live track activities that a person does on this mobile phone. Check out on social media activities, like Facebook, Whatsapp, Line, Twitter, etc. Monitor browsing history, call details, phone locations, MMS, and SMS. How can Spyzie be used to hack Line account? After you have gone through all of these options, I am sure that your favorite one is Spyzie to track someone’s Line account. Through it, you will be able to hack all passwords of anyone’s social media platforms. 1. The first and foremost thing that needs to be done is to register your own account with Spyzie. For doing that, go to Spyzie.com and create one account with an email id and a chosen password. Once you are done with this, you can download that app on your device. 2. Now that the registration process is finished, you need to provide some information and data in detail about the mobile device you want to hack, which will be used to hack Line account. 3. Now, before you start with the installation of the app, go to the settings of your phone and find the developer option there. Choose an option, which lets you install an app that is not from an authorized source. Once you are done with this, you can install the application smoothly. 4. Now go to Spyzie’s website and download Line account hack that needs to be installed on that mobile device, which needs to be hacked. 5. After completing the installation, open the app on your mobile device. Then, log in using your credentials, which you earlier created. For hacking the KiK camera, you need to allow it the permission it is going to ask you. 6. Once you are done with this, activation of your monitoring device needs to be done. Then, make sure you delete that app on the device which you have targeted. This way the hack will be running in the background, and you will be able to hack Line account of someone. 7. Log in with your own credentials and get to the dashboard once you return to your device. Once you have moved on to the dashboard, you can now spy the Line messenger, but you can only spy those accounts, which are being used on the target mobile. 8. Bingo! Now, you can view KiK camera, messages, videos, and photos it shares. Basically, now you can monitor that device 24*7 and just from your own device’s dashboard and hack Line account. Hope this article helped you in spying someone’s Line account and it was able to eliminate your constant worries about your loved one’s safety. It gave you a lot of options you can use as a software to hack Line account. But obviously, the best and the most efficient Spy Pen Substitute is Spyzie and the complete steps are mentioned above, which will help you in its easy installation. Apart from that, it’s very simple and convenient to use and has the best features. So, make sure you try out Spyzie to hack Line account and thank me later.